Come Election Day, Balboa Cafe is offering a free glass of white sangria to guests who present proof that they voted, from 4:00 p.m. until 7:00 p.m. on the 4th! Proof = a sticker or voting stub. Hoot hoot! One drink per customer, and the election will playing on Balboa’s TVs. 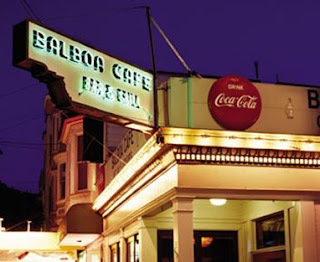 Sure, the crowd is a little Pac-Heights-creamy for my tastes, but the Balboa has character and old time SF feel. 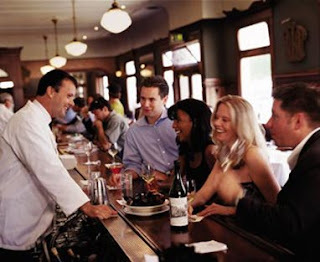 And we like that no matter who's slurping oysters in the next bar seat!